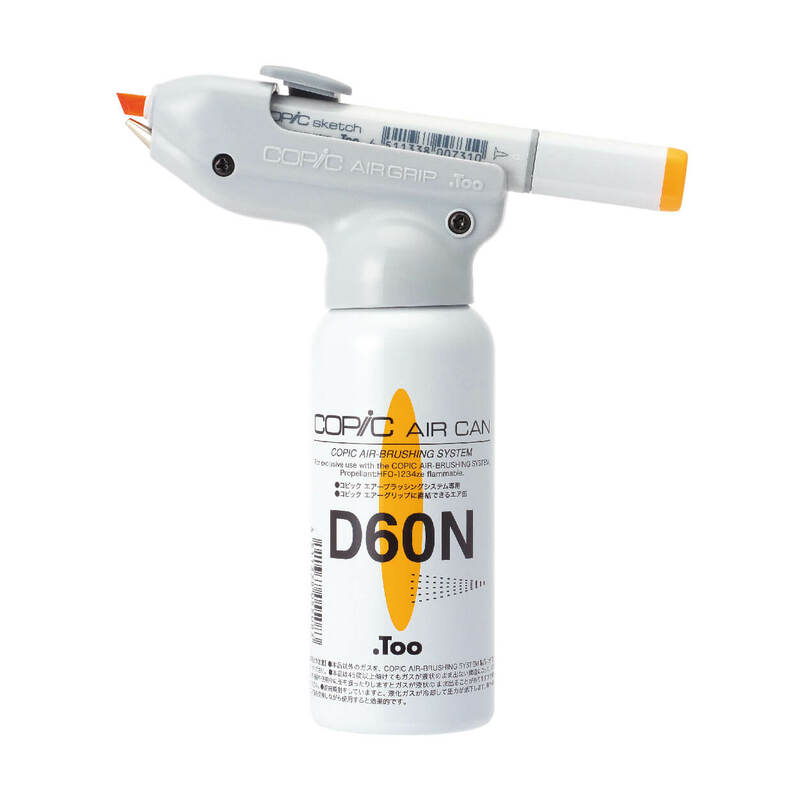 Along with the launch of Air Can D60N, we have reviewed and updated the whole lineup of Copic Air-Brushing System (ABS) as well as its packaging design. All the review points were resolved – New ABS will provides you improved experiences. 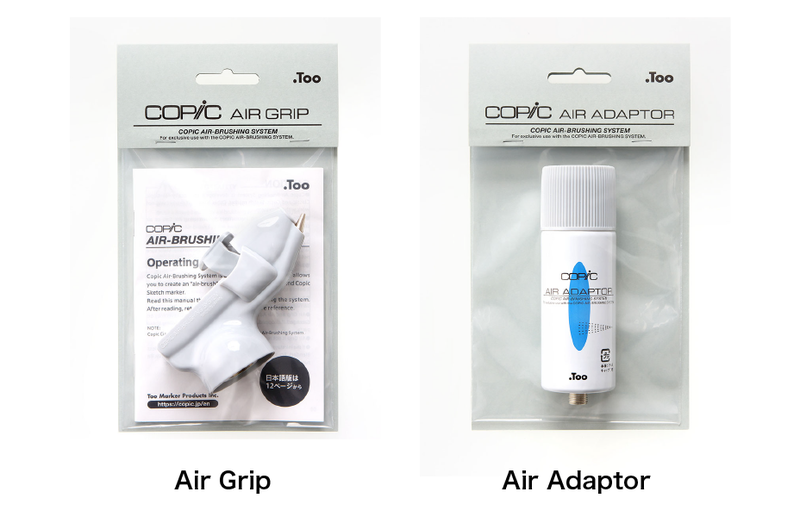 * Copic Air-Brushing System (ABS) allows you to create an “air-brush” effect easily. 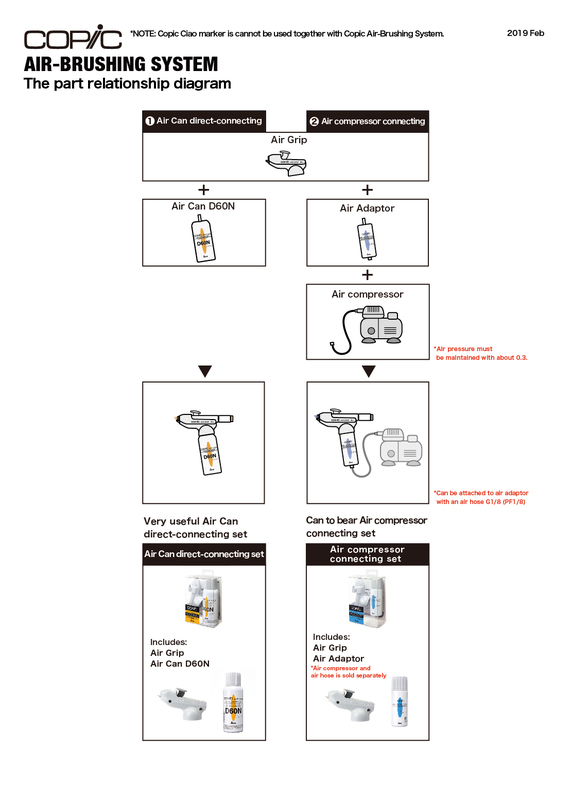 Simply snap a Copic Classic or Copic Sketch marker into the system and you are ready to go.